The Flemings are among the most important if under-appreciated immigrant groups to have shaped the history of medieval and early modern Scotland. Originating in Flanders, Northern Europe’s economic powerhouse (now roughly Belgium and the Netherlands), they came to Scotland as soldiers and settlers, traders and tradesmen, diplomats and dynasts, over a period of several centuries following the Norman Conquest of England in the eleventh century. Several of Scotland’s major families – Flemings, Murrays, Sutherlands and Douglases – claim elite Flemish roots, while many other families with less august lineages arrived as craftsmen, mercenaries and religiously persecuted émigrés. Adaptable and creative people, Flemish immigrants not only adjusted to Scotland’s very different environment, but left their profound mark on the country’s economic, social and cultural development. From pantiles to golf, from place names to town planning, the evidence of Flemish influence is still readily traceable in Scotland today. 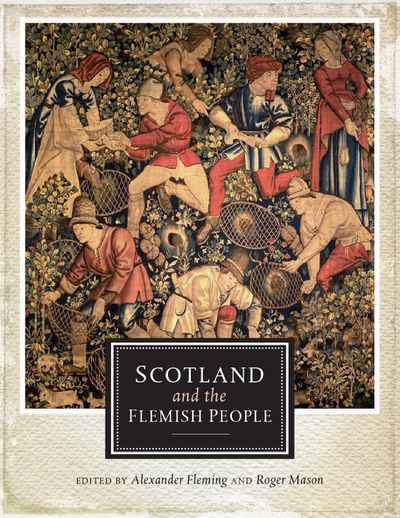 This book examines the nature of Flemish settlement in Scotland, the development of economic, diplomatic and cultural links between Scotland and Flanders, and the lasting impact of the Flemish people on Scottish society and culture.